Chrome finish is an ideal choice for fashionable shops. Four display arms hold a variety of items. 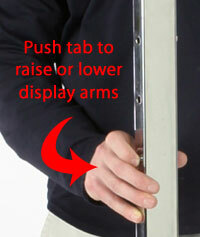 Adjustable height for displaying longer garments. 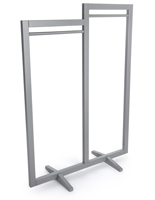 These clothes displays, retail stands, and other clothing racks are found in almost all types of clothing stores. 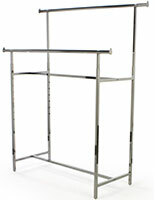 These clothing racks are used in shopping malls, outlets, and department stores. 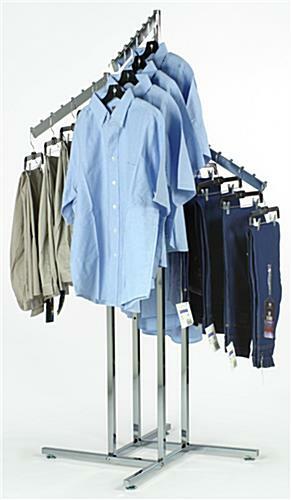 Chain stores, shopping centers and franchises can also benefit from using these clothing racks as well. 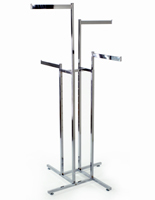 These garment stands, clothing racks are fabricated from polished chrome for a sleek look. 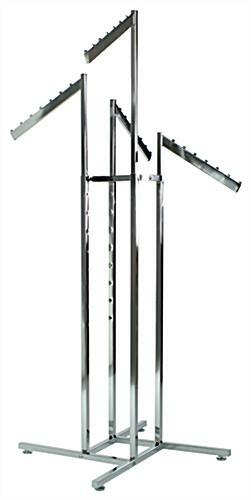 These waterfall clothing fixtures are ideal for clothing racks, due to their adjustable height. 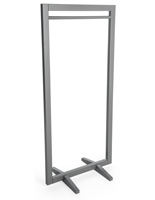 These clothing racks, such as the garment racks or clothes racks in this series feature push button notches on the display arms. 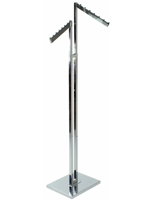 With an adjustable height, you can easily change the height to display longer garments such as pants or dresses. 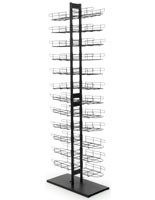 These clothing racks display your merchandise in an attractive way, while keeping them organized. 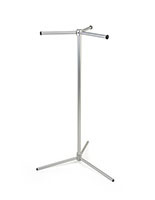 Use the clothing racks for one special promotion or utilize all four arms for different items on sale. We supply the clothing racks with the necessary hardware for assembly.